The UK emissions trading scheme is the world’s first economy-wide greenhouse gas emissions trading scheme. The scheme was launched in March 2002, and runs until December 2006, with final reconciliation in March 2007. Thirty-three organisations (“direct participants” in the scheme) have voluntarily taken on emission reduction targets to reduce their emissions. The scheme is also open to the 6000 companies with Climate Change Agreements. These negotiated agreements between business and Government set energy-related targets. Companies meeting their targets receive an 80% discount from the Climate Change Levy, a tax on the business use of energy. These companies can use the scheme either to buy allowances to meet their targets, or to sell any over-achievement of these targets. Anyone can open an account on the registry to buy and sell allowances. 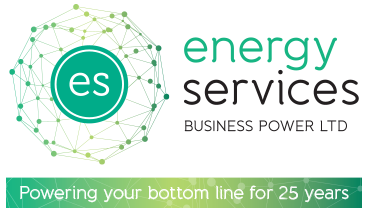 It is important to note that UK ETS and EU ETS are two separate schemes and no installation is in both UK ETS and EU ETS. There are three principal differences between UK ETS and EU ETS: 1. The EU scheme is a mandatory CO2 only scheme whereas the UK scheme is voluntary with incentive monies and covers all six greenhouse gases. 2. In the EU scheme, emissions from electricity generation are assigned to the electricity generators whereas in the UK scheme they are assigned to end-users of electricity. 3. The UK scheme is economy-wide and encourages a broad range of sectors to participate, whereas the EU ETS focuses essentially on a subset of sectors covered by the IPPC Directive (and some smaller combustion installations).